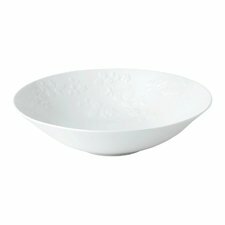 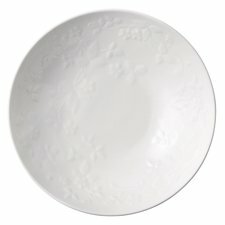 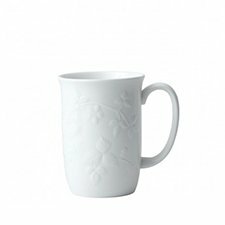 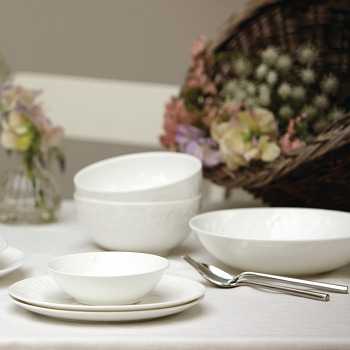 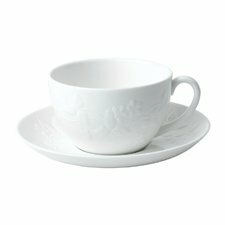 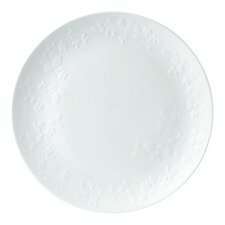 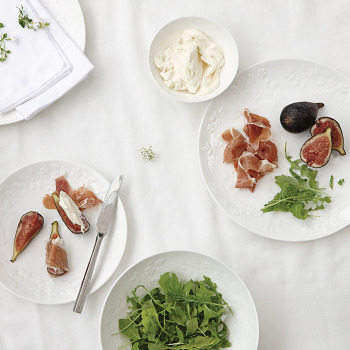 This white dinnerware collection has an embossed white floral design that lends itself to be used everyday. 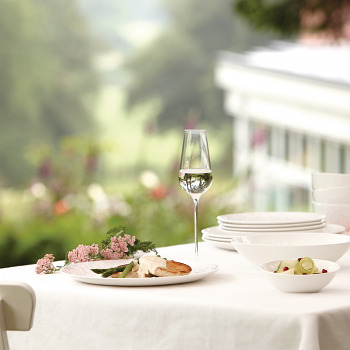 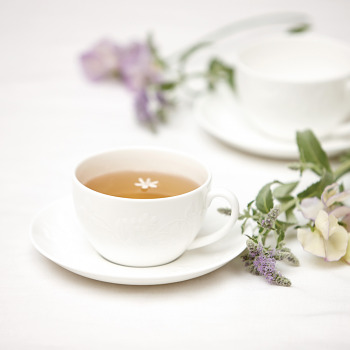 Made from fine bone china to offer a silky white colour and a degree of translucency to confound the superior strength that Wedgwood dinnerware is renowned for. 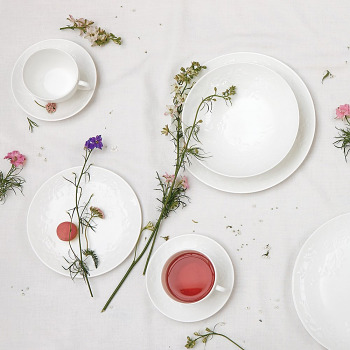 Wild Strawberry White tableware is designed and made in England with the heritage, craftsmanship and quality you would expect from Wedgwood. 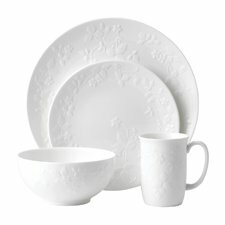 Taking inspiration from the heritage of the Wild Strawberry collection, this Wedgwood dinnerware set is versatile enough to be layered with the decorative and other floral tableware designs.